Mason Canning Jar Lids - Pre-Drilled for Lamp Making, etc. 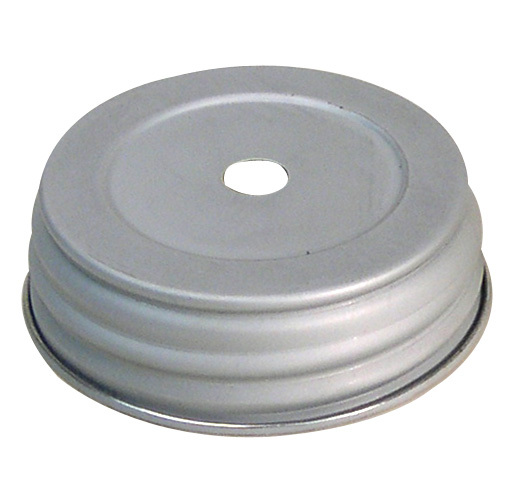 CANNING & MASON JAR LIDS for LAMP KITS: Pre-drilled Metal Canning Jar Lids Fit Most Brands of Canning Jars with Standard Openings. Ideal for making Country Style Lamps, etc. Fit Most Brands of Canning Jars with Standard Mouths that are 2-5/8" across. 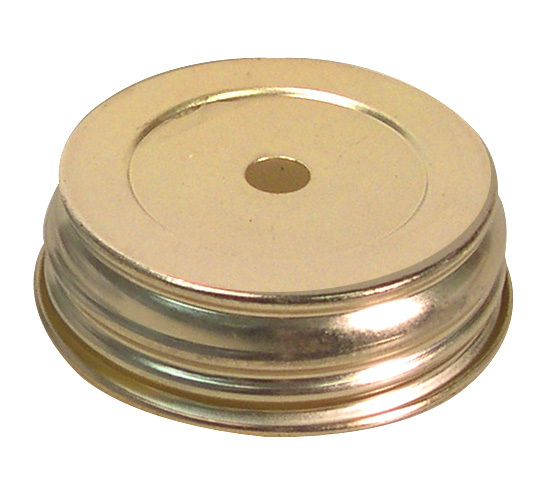 Lid "C" Is Ideal for Glass Oil Candle Inserts, Glass and Ceramic Wick Holders etc..
Lid "D" Is Ideal for Dispenser Pumps. 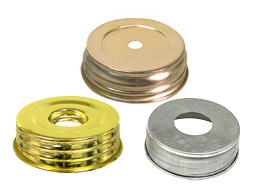 Bright Gold Finish resists tarnishing. 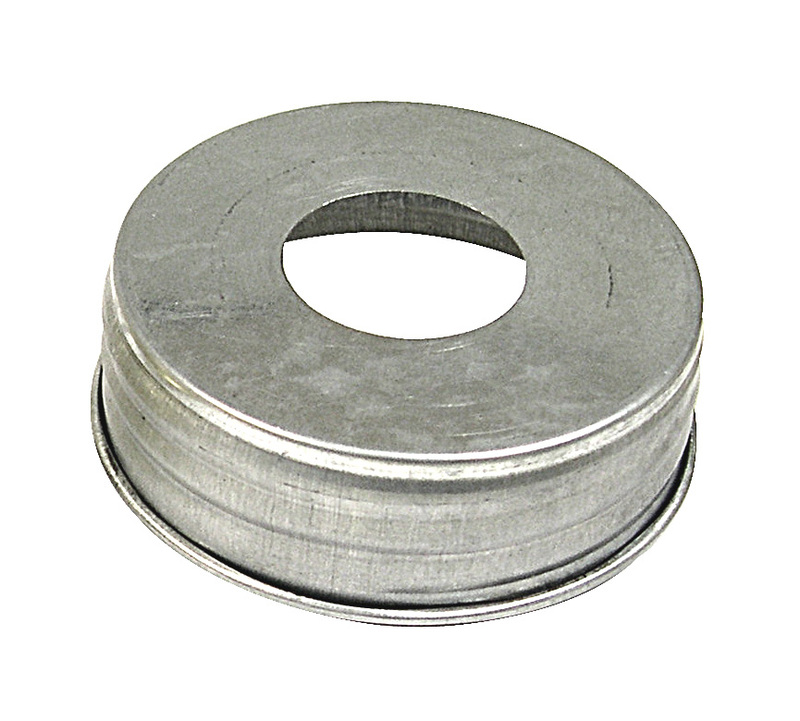 Fits jars with 2-5/8" diameter mouth. Recessed opening is 1" dia. x 3/8" deep with a 11/16" dia. center hole. Galvanized Silver Finish. Fits jars with 2-5/8" diameter mouth. Center hole is 1-1/8" dia. Bright Gold Finish. Fits jars with approx. 2-5/8" diameter mouth. 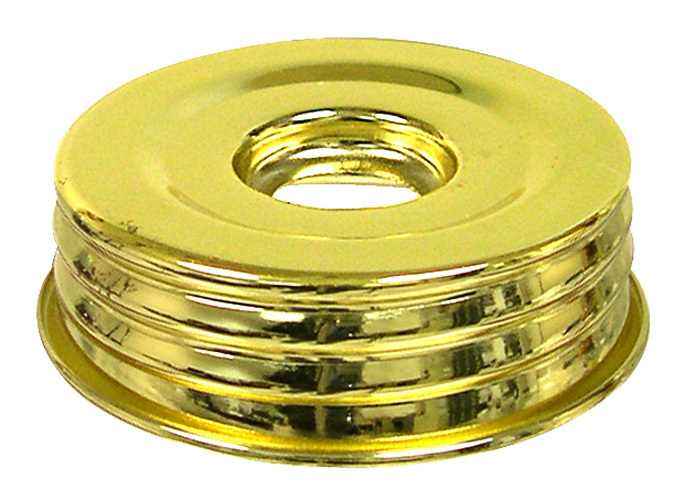 Center recess is 1" diameter & 3/16" deep with and 11/16" diameter center hole. MASON JAR LID. Galvanized Silver Finish. Fits jars with 2-5/8" diameter mouth. Center hole is 1-1/8" dia.